OK, back to the seriousness of this task. Here is a definition of Second Life holodecks, what they are used for and links to different kinds of holodecks. Loki Clifton, who introduced himself as “the grandfather” of holodecks in SL, was apparently the first person who invented holodecks for SL. He was kind enough to show us different types of holodecks and explained how they are used and demonstrated how to build a scene with a production holodeck. As our task would include building our own scenes, Loki generously agreed to give us all a copy for testing purposes – a 2in1 production holodeck. Holodecks can be quite expensive compared to other tools in Second Life. There are some free or inexpensive ones but usually with very limited functionality. In most cases, they do not allow the owner to build new scenes, which is what we wanted to do. It is also possible to buy scenes for some holodecks. Again, this depends on the type of holodeck you have (here is an example). A free simple alternative is the Builder’s Buddy script, which functions in a very similar way. Due to lack of time 🙁 , I have only been able to play around a bit with Loki’s holodeck but built my workshop scene for the MUVEnation task with the free Builder’s Buddy script. You can see the scene below. Above: This is the box in which the whole scenes is packed. I can take drag it from my inventory on the ground anywhere I am and rez (= create) the scene with a click. I can also allow others to rez my scene. With the BB script, every scene is in its own box (or any other object used as base). Above: Here, you can see the rezzed workshop scene (and the green box). The scene normally rezzes within seconds. I can reposition the scene by simply dragging the green box. All other objects then reposition themselves accordingly keeping their distances to each other. One click and everything is cleaned up and back in the box and the space available for other things. The first use of holodecks for language learning that springs to mind is scenes for role-plays (checking in at a hotel, ordering food in a restaurant, etc.). Scenes could also be used for students to learn the names of objects (furniture, plants, animals, kitchen utilities, …). But one can also imagine creating different cozy places for more undisturbed meetings with students or different spaces for students to work in groups. The settings could be changed according to the topic the group is talking about. Students can also be asked to build their own scenes as a kind of project work. One interesting project I have come across is the Literary Holodeck Project where educators built scenes to represent different literary works. These are only some initial thoughts. I hope working with my colleagues in the projects mentioned above will bring about more ideas. If you have ideas on how holodecks could be used for language learning (or learning/education in general) or you know of other educational holodeck projects, I would be very happy to read your comments. 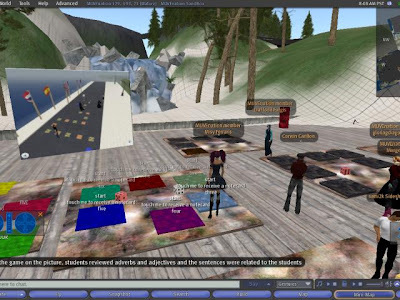 To design an experience-based, interactive and playful activity for a teacher to discover these tools in Second Life, such as creating a tour guide. I decided to join colleagues to collaborate on finding tools (in the broadest sense) that help teachers to manage social interaction and communication with their learners. As I mentioned in a previous post, effective communication can be a challenge in SL for many reasons but is very important and can decide about the success or failure of a session or even a course. 1. Avatar Scanner (also often referred to as “chat range alarm”): Many avatars are not aware that what they say can only be heard within a certain distance and even if they know it is difficult to judge when one is outside the range. This can lead to communication breakdown and misunderstandings. An teacher or participant of a meeting might wonder why nobody or not all are following the conversation or instructions not realising that they are out of chat range. One solution that has been suggested to me in the comments of another post is using a kind of visual circle but that is limited to one place. This is good when the teacher or moderator wants to create spaces for group work or discussion. Another solution is a HUD that avatars can wear and take with them where ever they go. 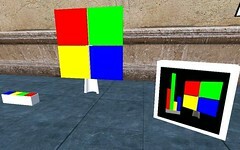 This Avatar Scanner HUD is user friendly, small and available for free. 2. Another very common issue in meetings with a lot of avatars is the flow of conversation. Often many conversation threads and topics are interwoven and it becomes difficult to follow the conversation. Therefore, in some instances the moderator might want to control the stream of conversation. There are several tools available but some are too rigid and others too expensive. The Meeting control lights tool gives more control to both the moderator and the speakers and is more transparent (e. g. everybody can see whose next). 3. Static lessons are not good in Real Life but even less suitable for SL. With the Opinionator, lessons and meetings can be much more interactive and fun. 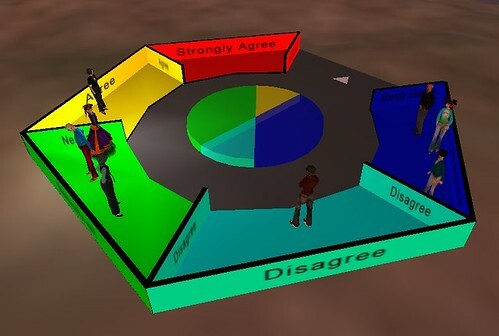 Instead of simply replying in text or voice to discussion questions, participants can use the Opinionator, which is a 3D Likert Scale social graphing tool that collates votes. When a question is asked, avatars walk into the different sections of the opinionator to show their vote or opinion. The total number of avatars and the percentage is calculated and shown immediately. Great before or after discussions. Very interactive and good for visual and kinaesthetic learners. The rest of our list is here (work in progress). If you think we missed a good tool, especially if it is a free or reasonably-priced one, let me know. How will we present them? We discussed two options to present our tools, a tour HUD or a book. Personally, I did not like the free tour HUDs that were available. The text field and the font itself was too small and I have tools which are not available in an in-world shop but only online and the HUDs we have do not provide URLs. I finally found a book that can also be worn as a HUD. I provided the Slurls and URLs in shortened form and we added a notecard with the Landmarks and a notecard giver script to the book. The problem with such a HUD tour and even the book is that tools, shops or other educational places and facilities can be moved to other locations or disappear completely. Only recently, one of the participants in our group has created a tour which includes Boracay, an educational island. However, two days later, the island was dismantled and will soon cease to exist completely after having been there for over two years. This is probably something we have to get used to although it is very sad to see such work disappear. Some tour or guide objects that provide lists of educational places take this into account and update their lists regularly. One such tool is the free Squirrel notebook which is available for free here. Here is the Slurl to the location where you can get a copy of our book and the tool collections of the other groups are nearby, too. The exhibition is only temporary so visit it soon. In one of the meetings in SL that I regularly attend, there was a partial communication breakdown that let to a lot of confusion, misunderstandings and even hurt feelings the latter of which I wasn’t even aware of during the meeting. Some participants were not aware of the fact that the normal chat range is 19 m and what there actual distance to the others was. Because of number 2 and 3, some participants thought they or what they were saying was being ignored by the others. can cause disruption of a conversation. Coincidentally, one of the new activities for section 3 is about collecting tools and building a guide for them (HUD, interactive book, bot, …) using the playfulness approach. Among the themes suggested is also one about tools for Communication and interaction. I’ve already been thinking of looking for ways of how to make group discussions more effective after having attended several (chaotic and ineffective) discussion with larger groups. Now, seeing what negative effects such communication breakdown can have on the rapport of a group, I want to look for tools and procedures that can help make such group conversations more pleasant and effective. If anyone reading this knows of such tools or procedures in Second Life, I’d be more than happy if you left a comment and let me know. A chat range indicator (included in the Sloddle and Mysti tool) that shows a list of avatars within the chat range so that the speaker knows who can hear them. b) what the agenda is and in which order they topics will be dealt with. Since I had heard of Sloodle for the first time at SLanguages2008, I had wanted to learn more about it and integrate it with my Moodle® (an open-source Learning Management System). It is very interesting for me because I used Moodle for my Second Life English course last summer. 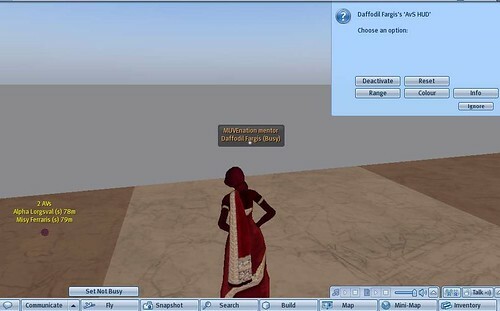 Some weeks ago, I came across a message by Daniel Livingston in an e-mail list about Virtual Worlds saying that he had created a self-paced tutorial exercise taught in Moodle and in Second Life to learn about Sloodle’s features. Moodle chatroom. Discussions can be archived securely in a Moodle database. avatars to their Moodle user accounts. easily in the standard Moodle gradebook. 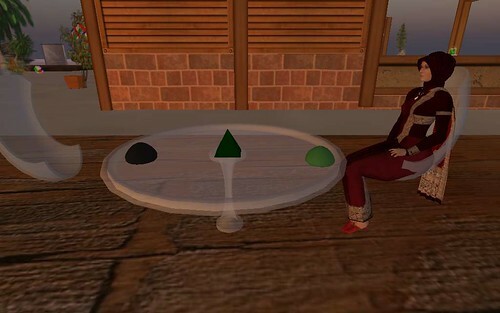 avatars around or write notes directly into to your Moodle blog from Second Life. processes to convert or upload images. • … and more. More tools are being prototyped on a regular basis. So, yesterday, I went ahead and finally upgraded my Moodle website and installed the Sloodle module. Then, I went in-world and bought the latest version of the in-world Sloodle tool set and the toolbar HUD (heads up display). Configuration was easier than I thought. As a test, I sent two blog posts from SL directly to the Moodle blog. 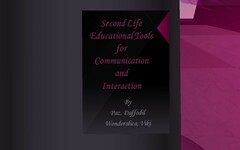 Now, I am looking forward to learning more about it’s uses and using it in my next Moodle+Second Life course. The free Moodle host Ninehub has Sloodle installed. You can sign up for free to start a course right away. The host supports itself with adds that are shown at the bottom of the pages as far as I can see.